How to Select the Best Laptop for the Least Price? Every day we read about scores of new laptops being launched. While this is good news for geeks, most of us are often left confounded by the plethora of choices. What is the guarantee that today’s shiny new toy will not become outdated even before you’ve opened the packaging? More importantly, how does one select the best laptop without having to break the bank? Before we proceed any further, you need to ask yourself the most important question – What will you be using your new laptop for? Are you looking for a simple, reliable device that can help you surf the Internet and do some basic word processing? Do you need a high-end laptop capable of running specialized programs? Do you need your laptop to watch movies or play games? Does it have to be ultra-portable or is a large display critical to your needs? Are you going to be the sole user or is it going to be a family laptop? If so, how are the members of your family likely to use it? These are all questions that only you can answer. 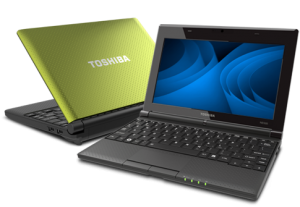 But starting with them will help you effectively shortlist the laptop you need from the hundreds of models available in the market. The Processor: AMD or Intel? Single or Dual core? Will an i5 suffice or do you need an i7? Everything depends on what you will be using your laptop for. The Memory: How much RAM do you need? For simple word processing and Internet surfing 2GB RAM should prove sufficient. For anything else, you need more. The Storage: Will you be storing your audio, video and other information on the laptop itself? Are you willing to consider external storage devices? Frankly, all other things are secondary – unless you need to use high-end graphics, in which case you need a good Graphics Card as well. All other things like Optical Drives, Networking, Wifi, are pretty much standard fare in most laptops. What differs is their speed/specification. Size, Shape and Form – Determine the Price! Frankly, I am one of those who believe in what’s inside – the content that makes the laptop tick. But form can be a critical decision-making factor too. A 3.5 kilogram laptop will prove to be a bother to carry around especially when you add a good laptop carry case, accessories and a couple of files or books. However, trying to see the finer details of a power point deck can be quite an ordeal on an ultra-portable laptop with those annoyingly small screens. If you work with graphics and video, you might need a 15” screen or larger. Ultimately it all comes down to what you really need the laptop for. Your benchmark in all these cases is the price. More processing power, more memory and bigger scree size will mean more expensive. Smaller may be cheaper, but can prove to be impractical. So, to get the most from your laptop, seriously think about your needs (not wants mind you!) are. There is a ‘right’ laptop out there waiting for everyone. You just need to cut through the clutter to understand what suits your needs.